Fielding drills consist of techniques that help the players understand that how important is it to keep the body in appropriate position, while on the field. Techniques like Ground ball and pop files help the players to develop focus and concentration while playing the game. Fielding drills should be implemented in such in a way that it does not hurt the person standing near the field. These are the drills that are used to enhance the motor skills of the players and therefore, these should be included in the training sessions. The degree of difficulty imposed on a particular player should be different, depending upon the ability of the respective player. In this technique, the coach lines up the players on the baseline and throw them the ball for each one of them to catch. This improves the throwing mechanics of the players so that the catch is secure all the time. Group drills are mandatory to be developed because these lead to strong teamwork. These include ball scrambling, base running, stretching etc. Batting drills train the players to hold the bat and hit the ball so that they learn to give that perfect shot in first try. 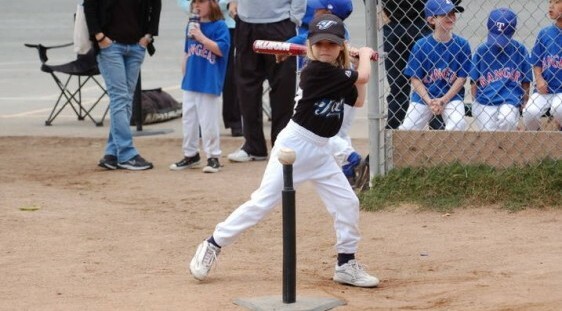 Proper batting skills should be developed, in order to transform a raw player into a professional baseball player. If the coaches as well as the players follow the above mentioned t-ball drills, they can turn out to be a professional team of baseball players along with promoting team spirit and sportsmanship among themselves. Also, oneness among the players as well as the team and the coach is compulsory to bring professionalism in the team. Proper training when provided to the amateur and young players results in bringing about the best out of them. In addition to this, the coaches should also keep practicing and polishing their existing skills. This, on one hand enables them to provide better coaching to the players and on the other hand encourages the team members to give their best performance. A healthy and competitive spirit leads to better performance by the players each time. Hence, the coaches should choose the most suitable t-ball drills for their players and keep training them so that they turn out to be professional baseball players in future. Sportsmanship should be kept alive among the young individuals!